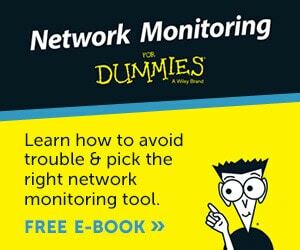 The key to managing your Windows Server 2008 network is planning then configuring server roles. Questions to ask include, ‘How many servers do we need?’. Which roles do I need on each server, for example, DNS, *AD DS, File and Print. 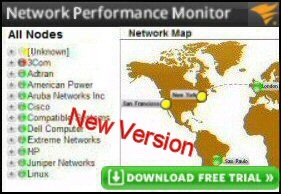 This planning stage could also be a good time to analyze your connections to the outside world, and appraise the need for old configurations such as **DMZ and ***RADIUS servers, with new ideas such as ****NPAS servers and a remediation network. * Active Directory Directory Service, ** Demilitarised Zone, *** Remote Authentication Dial-in User Service, **** Network Policy and Access Services. 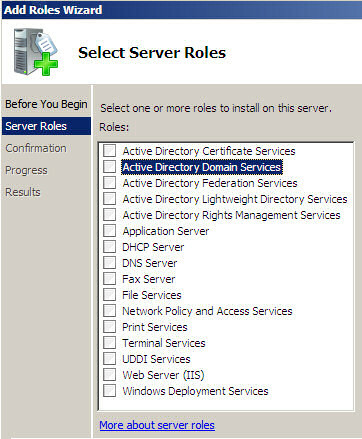 For each individual Windows Server 2008, the place to start in your task of adding and configuring the pre-defined roles is in the Server Manager. The Windows 2008 version of Server Manager is intelligent enough to work out dependencies and to install any necessary underlying services automatically. With the Add Roles Wizard you get the chance to inspect the services and also to configure options for that particular role. Double-click the Program ‘Server Manager. 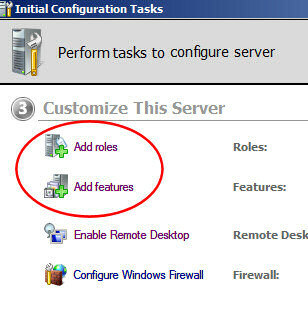 Once your Server Manager appears, scroll down to ‘ 3) Customize This Server’. Now you can click ‘Add roles’. 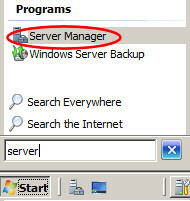 The Server Manager is the hub of Windows Server 2008. This is the place to install roles and features and check that they are working correctly. Server Manager goes right back to the days of NT 3.5. However, in Windows Server 2003 it took a back seat in the form of, ‘Configure your Server’ or ‘Manage your Server’. At the time, these Configure or Manage Server menus seemed an unnecessary restrictive layer, consequently, I preferred to invest time in creating an MMC console and then adding my favourite snap-ins. 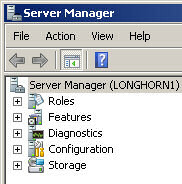 See more on the 2008 Server Manager. The term ‘Roles’ when applied to Windows Server 2008 has the same connotation as the word ‘Role’ in medium to large size company. Human resources manager, Secretary to the MD, financial director. In other words ‘Role’ describes a person primary job. In a smaller company one person may take on server roles, thus it is with Windows Server 2008, the server’s role maybe DHCP, DNS, and Active Directory. If you didn’t find a Windows Server 2008 amongst the Roles, the chances are it’s amongst the 20+ ‘Features. See here more about how toadd Windows Server 2008’s features. Just because you are good at computing does not mean that you are good at planning or organizing. Perhaps with W2K3 you got by through being above average at troubleshooting and having an intuitive understanding of the technology. Also after 5 years of Windows Server 2003 you have things figured out and the servers are running smoothly. Come Windows Server 2008 and you are going to have to learn new tricks, so make it a personal challenge to learn the best of the new technology as fast as possible. If you think of the new ‘Roles’ management techniques as your friends, then they will help you reach new levels of technical expertise. If on the other hand, you fight the wizards then the struggle will sap your energy and you will miss an opportunity to learn new ways of configuring old tasks.